This site is awesome! Check out Gamequarium for games and activities, videos, ebooks, printables, teacher resources, and more! Awesome free resources brought to you by Georgia Public Broadcasting. Search by subject or grade level. Includes language arts (including foreign language), social studies, STEM, various electives, and more. This is a great free resource for homeschoolers! Head of the Class provides preschool through eighth grade parents, learners, and teachers with free access to curriculum-based content. Organized by grade-level, you will find instruction, activities, and multimedia on reading, math, spelling, writing, art, history, music, geography, science, Spanish, and more. Heart of the Matter presents you with motivational posts, encouraging articles from “real” parents, and resources so that you can take 100% control of your child’s education. They provide a blog that is updated daily, a quarterly digital magazine, online conferences, how-to tutorials, reviews, giveaways, and more for the busy parent. Heart of Wisdom offers free lapbooks, lesson plans, handwriting worksheets, and Bible scrapbooks. You will find hundreds of free printables for Bible study, homeschooling, and home organization. Find a free talking picture dictionary, free printable flash cards, songs, games and more! Hello-World has free activities in every category! The free games and activities are clearly indicated at the top of each page. Geared specifically for the fathers who homeschool. Get the latest homeschooling news, articles, organizations, events, Homeschool Mall, and much, much more! The Homeschool Tracker Basic Edition is entirely free to the Homeschool community. It is a solid program with many useful features. Track attendance, assignments, field trips, and more! 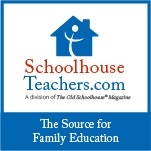 The official website of Practical Homeschooling Magazine. You'll find the latest homeschooling news, articles, organizations, events, forum, curriculum, and more. One of the largest sites on the web for buying and selling new and used homeschool materials, and for finding and announcing homeschool groups, activities, and events. Homeschooling on a Shoestring makes available ways of cutting costs while homeschooling and how to have a high quality home education on a shoestring budget. You'll find homeschool discussion forums, homeschool methods, educator discounts, homeschooling classifieds, unit studies, great recipes, safety tips, and Michigan homeschool support groups. Internet 4 Classrooms ("i4c"), a free web portal designed to assist anyone who wants to find high-quality, free Internet resources to use in classroom instruction, developing project ideas, reinforcing specific subject matter areas both in the class and at home and even for online technology tutorials. If you are a teacher searching for classroom materials, a student doing research, or a person looking for a place to spend some time, have some fun and learn in the process, LearnNPS is for you. Here you'll find curriculum, fun and games, a guide to park Junior Ranger programs and a host of other fun and educational media created by the National Park Service and our partners. kidCourses.com offers, free, fun, interactive, and educational online courses, programs, and content for parents, educators and the kids in their lives. Practice cursive writing, learn sign language, practice math through MathLibs, and more. The KidZone site, a sister site of DLTK, is targeted to the Kindergarten thru Grade Six age group. This website is loaded with free printables. kitZu, brought to you by the Orange County Department of Education, provides free, educational, copyright-friendly media resources. Students and teachers can access pre-made collections, or "kits," of various digital assets - still images, background music, narratives, video and text. Each kit is built around a common theme, or curricular topic. Learning is for Everyone is an education resource organization serving families and learners with information and networking resources, on the web and off, at all stages of life. Their website offers a content rich treasure trove of learning opportunities and countless ways to stay informed and connected about great cost effective and enduring ways to engage in and inspire Lifelong Learning. The developers of LearningPage.com have been producing educational materials for major U.S. publishers since 1989. LearningPage.com is among the family of Learning A–Z websites. Look here for free teaching resources. Lesson Pathways has over 900 weekly topic units containing free educational resources and curriculum for grades K-5. They also have a handy Planning Tool!